Greek Underground Scene: The Thing From Another World Vol.3: Like A Big Suckin' Drain! The Thing From Another World Vol.3: Like A Big Suckin' Drain! Κυκλοφόρησε δωρεάν μαζί με το fanzine The Thing (τεύχος #16) το 1996, σε CD. 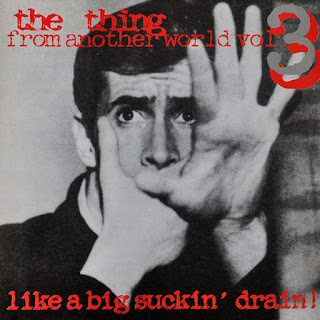 Download:  The Thing From Another World Vol.3: Like A Big Suckin' Drain! Labels: The Thing From Another World Vol.3: Like A Big Suckin' Drain!, The Thing Zine, VA, Συλλογές, Συλλογές "The Thing"